Kristine Freudenthal, Associate Vice President of Professional Services, is a results-driven executive with more than fifteen years of leadership experience in Program and Project Management. 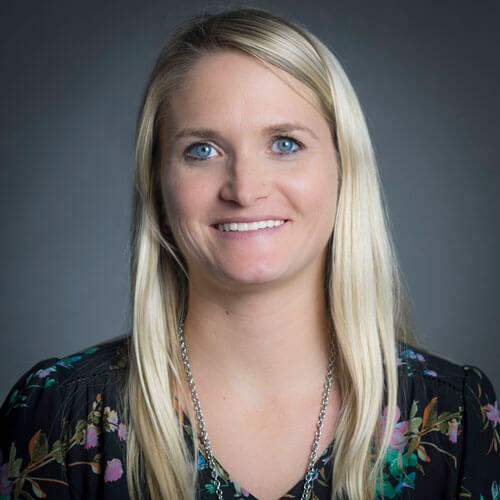 After graduating with honors and earning her Bachelor of Science Degree in Management Information Systems, Kristine went on to achieve her Six Sigma Green Belt and became a certified ScrumMaster. Her professional experience consists of a proven track record of success in both global and domestic markets. Throughout Kristine’s career, her core competencies in program and project management have consistently executed long-term projects to promote cost savings and streamline people, processes, and technologies. Kristine joined Enterprise Integration having demonstrated leadership skills from her experience with multiple global IT infrastructure and application projects. Notably, Kristine defined and led a strategy implementing 74 enterprise mobile apps, working with 35 different vendors and delivery engines. Her consistent achievement with leading cross-functional technology teams in executing multiple IT projects across all industries is an asset to Enterprise Integration. Kristine’s work philosophy is, “Surround yourself with brilliant people who value integrity and authenticity. Think outside of the box because every problem has multiple solutions. Your job should challenge, excite, and push the limits of your personal development. At the end of the day it is about the people who make the job great; invest in your team!”. Her philosophy permeates every team member and is what brands her as a results-driven and integral leader.